Strength training! Improve your brain's health with regular physical exercise, and don't overlook the importance of strength training. Here are six reasons why it works. You can fight off mild cognitive impairment by strength-training for 30 minutes at least twice a week. You probably know that regular exercise lowers the risk of mild cognitive impairment, or “pre-dementia,” and Alzheimer’s, but do you know which exercise is best for brain health? Step off the treadmill and pick up some iron because newer research shows strength training outperforms aerobics when it comes to improving brain function. Although any form of exercise significantly reduces the risk or symptoms associated with preventing mild cognitive impairment and Alzheimer’s, the form of exercise you choose is important. Here, we offer six “brain health” tips on why you should keep up a physical exercise routine and why it’s important to make strength training part of it. 1. Exercise is the golden bullet when it comes to preventing mild cognitive impairment. and tone exercises over six months. Brain MRIs and cognitive testing showed all three groups benefited from the exercise, leading one researcher to call exercise the “golden bullet” when it comes to preserving memory and cognitive function. However, by the end of the study the group who lifted weights improved the most. 2. Exercising earlier in life enhances prevention of mild cognitive impairment. 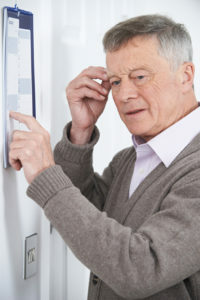 The study also showed the better the participants’ cognition was prior to the study, the more improvement they showed. This suggests the earlier you begin an exercise routine the greater the cognitive benefits. In spite of this, it’s never too late to start. Even in the senior years, exercise benefits are worth the effort. 3. Strength training in the golden years: Take a simple approach. 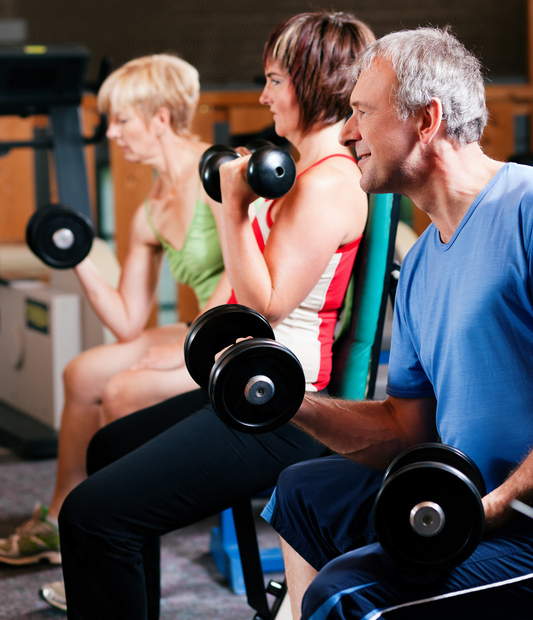 There are various ways seniors can get started on a strength training program. The most common are to do pushing and pulling exercises with dumb bells or resistance bands, although cans of soup work, too! As you stay consistent with your weight-training program, your strength will increase and you will need to increase the amount of weight used. The safest approach, and the one that will motivate you the best, is to work with a trainer or to join a group that is guided by an instructor experienced working with seniors. If working out with a trainer or at a gym is not an option, or just not your cup of tea, the Internet offers various sources for senior adult weight training. For example, the website Eldergym.com is dedicated entirely to fitness for seniors. The site offers video demonstrations of various exercises and also sells fitness books and DVDs, all tailored to seniors. 4. Schedule your strength training to prevent mild cognitive impairment. The goal is to strength-train all of the major muscle groups for 30 minutes at least twice a week. Do not exercise the same muscle group two days in a row; muscles need time to recover (the recovery period is when muscles grow stronger). To prevent injury, err on the side of caution when choosing how heavy of a weight you want to lift. Some may need to start with one- or two-pound weights, or no weight at all. You should be able to lift the weight at least eight times in a row. Resistance bands, which are stretchy, elastic bands, are an alternative to dumb bells or other weights. They’re also lighter and more portable. Your off days from strength training are excellent days to take a walk, swim, or engage in some other form of aerobic exercise (now you can get on the treadmill), which is also extremely beneficial for preserving brain health, memory and preventing or slowing mild cognitive impairment and Alzheimer’s. 5. Aerobic exercise also has proven to be vital for preventing mild cognitive impairment. Although weight lifting shows most improvement, aerobic exercise is still vital to brain health and should not be ignored for lowering your risk of memory loss, mild cognitive impairment, and Alzheimer’s. A recent study looked at older adults with Alzheimer’s who walked moderately for 30 to 45 minutes three days a week for a year. When researchers used brain imaging to measure the brains of the participants, they found the hippocampus, the area of the brain that governs memory and is most affected in mild cognitive impairment and Alzheimer’s, grew by 2 percent. Contrast this to average loss of 1 to 3 percent loss of hippocampal volume. Their brains also showed growth in the prefrontal cortex, another area important for memory. 6. Get creative with exercise! Strength training key in preventing Alzheimer’s. Nadia Kounang. CNN.com. July 16, 2012. Exercise may reduce risk of Alzheimer’s. Kathleen Doheny. WebMD.com. July 16, 2012.
aerobic exercise, alzheimer, brain, brain health, cognitive function, cognitive impairment, dementia, dementia symptoms, exercise, exercise routine, fitness, fitness books, fitness for seniors, get motivated to exercise, health, health tips, how to get motivated to exercise, how to improve memory, improve memory, iron, memory, memory loss, mild cognitive, mild cognitive impairment, motivated to exercise, muscle, physical exercise, pilates, prefrontal cortex, recovery, strength, strength training, to improve memory. It would be great if I could find some place where I could go to work out with other with other ladies. I used to work out at Curves some years ago but I believe they are no longer around. I went religiously 3 times a week last year to a gym and a personal trainer showed me what machines to use and to start with 30 pounds. My back hurts every time I go, whether it’s exercise for the chest, back or legs. I recently quit. I also walk a mile a day and in summers I swim 30 minute laps on my back. I’m 82. I don’t know whether to go back to the gym and use less weight or what? I thought you might be interested in this article on https://universityhealthnews.com: Best Type of Exercise to Prevent Memory Loss and Mild Cognitive Impairment?